3 Bad Foods Masquerading As "Good Foods"! - Bonny Was Fat. Not Anymore. 3 Bad Foods Masquerading As “Good Foods”! More often than not it so happens that healthy food is almost horrible to taste, while some greasy, junk food appeals to our taste buds like nothing else. This is one of the primary reasons why obesity is on a rise and almost everyone is threatened by high cholesterol or diabetes in this new century. The threats posed by the consumption of such unhealthy food have literally forced more and more people to adopt a healthier lifestyle and switch over to more nutritional foods. However most of the people in the hurry and scurry of their daily routines forget to read the fine print and fail to realise that not everything that has “healthy choice” written on it will in fact be healthy for them. Moreover, ‘excess of anything is bad’ is one of the most universally accepted truths and in the same way overdose of healthy food may just end up killing you instead of saving your life! So with that said, here are 3 really bad foods that have cloaked their way in the good, real foods aisle! Don’t go by their looks, these are professional charmers that will lure your eyes and your taste buds towards them! A majority of the people believe that swapping their daily dose of “diet soda” for fruit juices is the healthiest thing they can do. What they fail to realise is that a fruit juice is essentially what is left of the fruit when it has been drained of all vitamins, nutrients and fiber! Packaged fruit juices mostly contain very little fruit and are high on artificial flavours and sugars. I can even go to the extent of saying that sometimes even the real fruit juices are not a healthy option because many vital vitamins are removed and/or damaged in the process of making the juice and what remain is just sugar, a few minerals and lots of water. 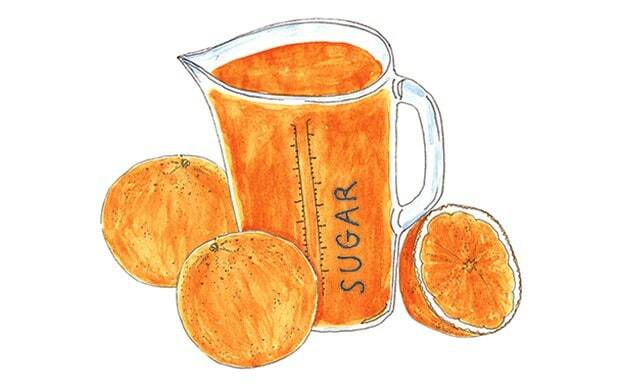 Take for instance the fact that a glass of orange juice contains the same amount of sugar as coca-cola (note same quantities of both), and does not have the goodness of fibers that you would gain on eating the whole, real fruit. In fact, fruit juices promote an unhealthy lifestyle since people gulp them down in massive amounts due to zero chewing resistance. (Your teeth and the associated chewing action is one of the biggest hunger/satiety hormone stimulators). Thus a whole lot of sugar is consumed in a matter of seconds. Hence, the next time you see a red box of packed apple juice staring at you from the shelf of a supermarket, perceive it not as the wholesomeness of apples but the glaring red sign of danger! Whole wheat has a huge amount of gluten in it and it is a scientifically proven fact that a majority of the world population is gluten sensitive. In fact, recently, there have been more than one gluten free diet cropping up in the last couple of years. Some people consume whole wheat saying that is healthier than refined wheat, but that’s like choosing to drink vodka over beer because it has less calories! They are both going to kill you anyway so you might as well drink neither! The immune system of people who are sensitive to gluten will attack the gluten proteins present in the digestive tract, which may end up damaging the lining of the digestive tract. This may also cause pain, bloating, lethargy, stool inconsistency and other horrible side effects. 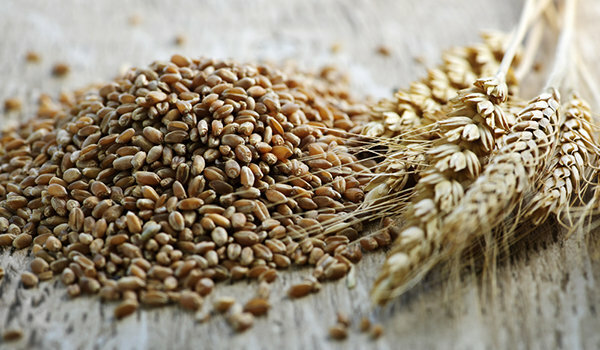 The findings of a particular study have shown that wheat fiber may cause a deficiency of Vitamin D which causes the body to burn up the stored important vitamins at a faster pace. There is another study which has concluded that whole wheat can cause the LDL (a bad type of cholesterol) levels to rise by a massive 60%. So people, the next time you see wheat when out shopping for daily supplies, keep walking till the end of the aisle until the wheat bags are out of sight! Whenever people talk about fatty foods, the first image to pop into one’s head is that of oil and fried foods. Naturally when this whole wave of healthy eating started, the first item to be substituted in every one’s kitchen was the cooking oil. People switched to seed and vegetable oils, such as that of soybean, corn or cotton seed. What they fail to realise is that this oil is extracted from the seed by a very heavy industrial process and there is use of toxic material such as bleaches, hexane and high temperatures. 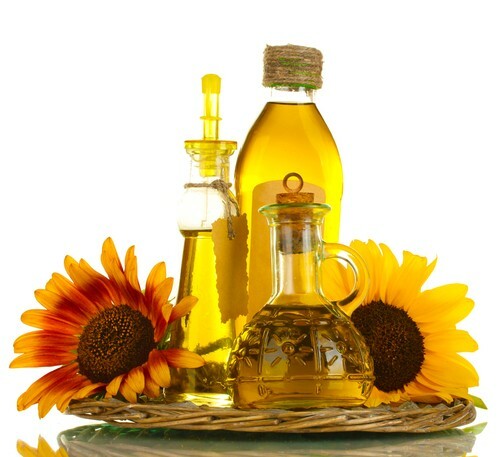 The oils created after such a process contains large amounts of Omega-6 fatty acids. Such fatty acids in small amounts are required by the body. However, due to the introduction of these oils, their consumption has gone up tremendously which can lead to inflammation and other chronic diseases. These oils are then stored in the cellular membranes of the body and make them highly susceptible to oxidation. These oils also contain 0.56% to 4.2% trans fats which are highly toxic. Not everything that looks healthy in fact is healthy, and a lot of times it may so happen that what is healthy in small quantities may be lethal in heavy doses! The next time you buy a product thinking it to be healthy, make sure that you have properly read the ingredients and not blindly picked up a product because it has healthy written on it in bold letters.